No one likes to clip their toenails. It is a tedious task that can sometimes be painful if you’re not careful. Laypeople have a habit of cutting too deep into their toenails, which increases the risk of bleeding, pain, and infection. If you’re a woman who likes to keep their toenails looking clean and beautiful, then you will have a much harder job to do. After all, you’ll need to concern yourself with applying and removing toenail polish on a regular basis in addition to clipping them. This is not a job that is meant for everybody. Fortunately, there is an easy solution to this problem. 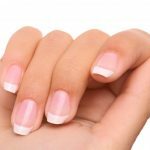 You can simply go to your local nail or beauty salon and have a professional pedicurist handle these toenail tasks for you. They are experts in clipping and polishing toenails the proper way. You won’t need to worry about anything going wrong because pedicurists know what they are doing. Amateurs tend to cut their toenails too close to the skin. Even if they don’t puncture their skin, this can still increase their risk of developing ingrown toenails. You don’t want to have this happen because it can be quite painful and cause swelling and redness. A pedicurist will ensure that your toenails are cut properly so that ingrown toenails will not form. People have a habit of tearing off the top of their toenails to keep them short. If they do use clippers, their toenails are clipped unevenly. If you care about the aesthetics of your toenails, you will want to visit a pedicurist so that they can cut them evenly. On top of that, pedicurists can apply polish to your toenails. If you require a specific design for the polish, that can be arranged too. Some people assume that you need to be wealthy to get pedicures. The reality is they are just as affordable as getting a haircut at the barbershop. If you go to a small nail salon and get a basic pedicure, it won’t be more than $20. Of course, you can choose more deluxe pedicure options for $40 to $60 too. That isn’t so bad if you get your toenails done once or twice per month. Pedicurists do more than just cut and polish your toenails. They can also apply a special protective treatment to your toenails which prevents them from breaking prematurely. This helps keep your toenails even and looking beautiful for a long time.